This innovative project is trialing traditional burning values in the Lachlan catchment to provide agricultural, biodiversity and cultural outcomes. Burning trials across the Lachlan will be conducted with 10 landholders. This partnership between the Lachlan CMA and the NSW Rural Fire Service will set up 8 Indigenous community fire teams for the project. These trials will provide vital information about interactions between fire tolerant and fire sensitive species and the long term dynamics of habitats under varying fire regimes. Members of the community (Indigenous and European) will better understand how ecological communities can be managed to improve agricultural returns, resilience and enhance biodiversity. Figure1. Lachlan CMA Traditional Burning Technical Advisory Panel members observing one of the Pitfall sites where 6-12 months of monitoring will take place prior to any burn. • The role of cool burn fires as a positive tool for future management in a landscape under the influence of climate change. Traditional Mosaic Burning. 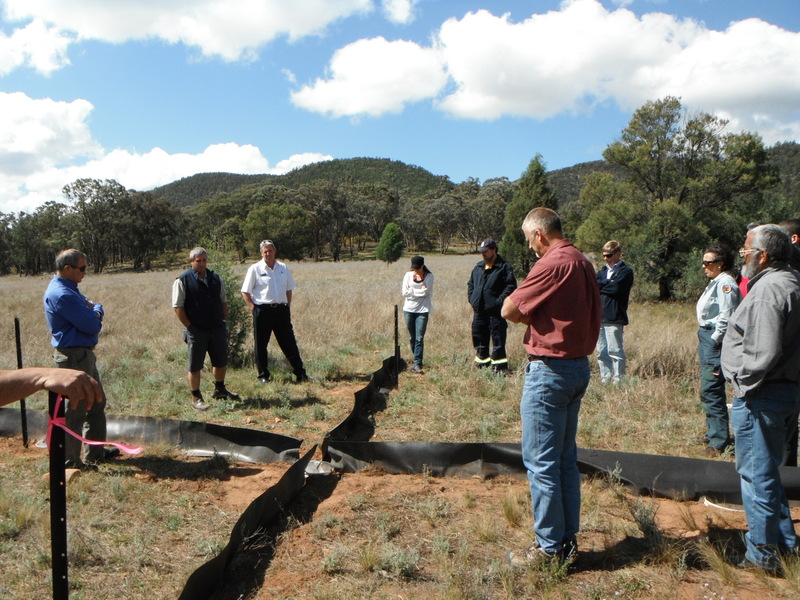 The innovation of gaining knowledge through investigating the role that traditional Indigenous mosaic burning can play in the future of pastoral management has obvious benefits in resilience building in both pasture care and the farming community. Potentially mosaic burning can be a simple tool to empower everyone as conservationists and promote sustainable land management change. The importance of bringing back native perennial grasses in the design of more productive grazing programs is understood, yet we know little about the ecology of these grasses. Australian native grasses have evolved in an environment where mosaic burning was a positive management tool. It has been demonstrated in native grasses of northern Australia that appropriate fire can have strong productive consequences on growth and seed production. Cool burning has the ability to drive the production of increased seed yield and higher protein; hot fires can induce negative growth in many native grasses and over a long period leads to a loss of perennial ground cover. This project will experimentally question the effects of fire on southern Australian flora (with a grass focus) and fauna over a 10 year period. locations across the Lachlan region. Figure 2. 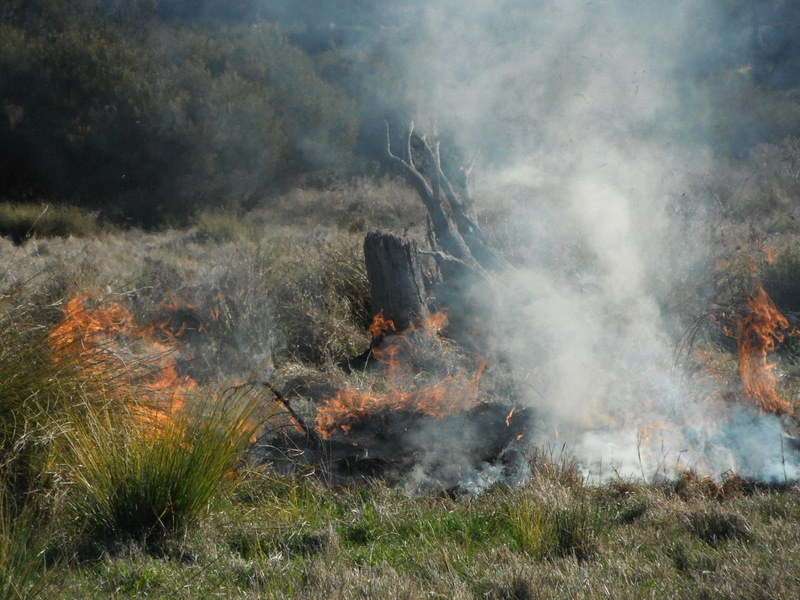 A ‘cool’ burn conducted in Lachlan catchment grasslands. Ten properties containing eight treatments (4x 5ha 2011 Spring burns, 4 x 5 ha 2012 Autumn burns total = 40 ha), with five paired replicates will be used in the design (total burns & controls = 360 ha). In conjunction with the burns, field sites will be monitored for biodiversity using Indigenous community members supervised by biologists. This entry was posted in Fire Ecology & Management, Indigenous land & sea management, New South Wales. Bookmark the permalink.